While other nations invent and build the greatest technologies, Indians tend to make something extraordinary and now India have come up with the world’s first ever Smartphone for the blind. The blind can read text messages as well as emails using this device since all the texts and images are converted Into Braille and raised patterns. 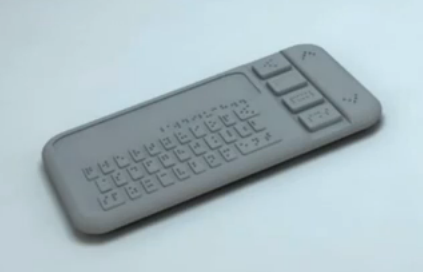 “We have created the world’s first Braille Smartphone” said Sumit Dagar, the man behind this innovative creation. The device is being developed on an advanced touch screen that can elevate and depress the contents into touchable patterns. The company of Sumit is being gestated at the Center for Innovation, Incubation and Entrepreneurship, in the Ahmadabad IIM campus. Check out the TED video of 2011 below, where Sumit shared his idea for the 1st time with the world. Sumit Dagar is a post graduate from the national Institute of Design (NID) and was very keen to develop this extraordinary Smartphone. The realization, technology supports and helps only the mainstream and ignores the downgrades made him think of developing something like this. Now he is working with IIT Delhi team to make the prototype device, which is presently being developed and researched at the L V Prasad Eye institute, Hyderabad. The response they received during the last test was really interesting and inspiring, which made Sumit to tell that they plan to bring out more advanced versions of the phone in the future. As you can guess, the device is not just a phone but is like a companion to the user. 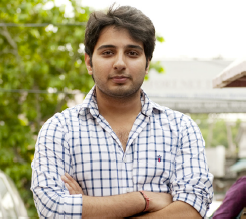 Dagar outset the project during his study at the NID but he couldn’t put much concentration as he was working for a couple of companies and later he gave up his job to bring out this device and formed a team of six, launching the startup, Kriyate Design Solutions. At present the startup is funded by the Young Laureates Programme of Rolex Awards. The Award program selects five people around the world every two years and funds their innovative project ideas. How the World’s First SmartPhone for Blind Works? The Smartphone works on Shape Memory Alloy Technology. The metals retain or regains their original shapes is the concept behind this technology. That is the metals will expand or contracts to their original shape after the use. The Smartphone screen can elevate and depress the textual and pictorial contents into Braille patterns. The device’s screen is a grid of pins that can be moved up and down as we need. This grid has a Braille display, in which pins get raised to indicate a character or number. All other elements and their features are same as that of available Smartphone’s. Maps that can be used by the blind to find ways. Multilingual braille. Hence the user need not learn any particular language to use it. Can scan through any sheet of paper to convert it to braille to understand the information. Can also most possibly have a video chat. Can scan an image and feel it so as to understand the emotions of the people in the scanned image. With this innovative creation we must thank Sumit Dagar for taking India into picture by developing the world’s first smartphone and proving our metal. Moreover, while all the creators develop things and accessories for the mainstream, Sumit had a mind to help the downstream who are always ignored by the society. I really appreciate you Sumit for your kind heart and for creative invention.